Atlas Shrugged is the astounding story of a man who said that he would stop the motor of the world--and did. Tremendous in scope, breathtaking in its suspense, Atlas Shrugged stretches the boundaries further than any book you have ever read. It is a mystery, not about the murder of a man's body, but about the murder--and rebirth--of man's spirit. The story of Howard Roark, an architect who follows his own judgment in the face of many obstacles. The theme of this book is independence and integrity. The story of a society that's lost a word, and the struggle of one man to reclaim it along with his life. Set in Soviet Russia, this is the story of a woman who struggles to survive in a society that embraces collectivism. The story of a trial, where the outcome is based on your own sense of morality. A collection of short stories with many themes recognizable themes from Ayn Rand's later novels. A collection of essays on the importance of philosophy in our lives. 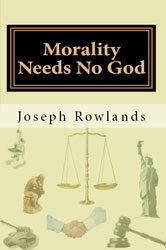 A collection of essays on morality, and rational self-interest. A collection of essays about the nature of government, individuals rights, and politics. A collection of essays about art and esthetics. A collection of essays about the culture and politics. A collection of essays about philosophy, culture, and politics. Reprint of some of Rand's fictional characters speeches, with an introductory article on the history of ideas. Rand's tutorial on how to write fiction. Rand's tutorial on how to write non-fiction. One of Rand's more detailed and systematic books. It discusses the nature of concepts. A useful resource with excerpts from Rand's writings on many topics, organized alphabetically. Excerpts from Ayn Rand's personal journals. A large variety of topics, showing the development of her thoughtsover the years. A book containing excerpts from Rand's various novels. A good introduction to her ideas. Ayn Rand gave many lectures after publishing Atlas Shrugged. These are taken from the Q&A sessions. A compilation of letters that Ayn Rand wrote to other people. A detailed explanation of the philosophy of Objectivism. A short book that describes the virtue of benevolence, and shows how it is firmly in our self-interest. A book on economics by someone well-versed in Objectivism. It contains many integrations of the philosophy with the economics.